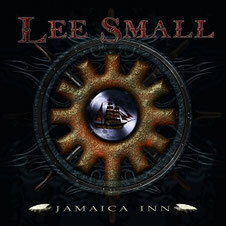 Lee Small's solo arbum JAMAICA INN will be released from Escape Music on January 20, 2012. More recently Lee Small took to the mike stand for legendary UK melodic rockers SHY, and has helped create a marvellous piece of music which has received reviews of epic proportions. He is a name at the forefront of the rock scene at present and what a time to unleash his very own solo outing, an album which is full of surprises. This is a bluesy rock album that features contributions from Martin Kronlund (Gypsy Rose), Imre Daun (Don Patrol, Gypsy Rose) and Paul Bradder (Saracen).